I decided to go a different way with this guitar and I would like to trade it for a solid body electric guitar. It's a 1953 J.B. Castelluccia with a label by René Gérome on the inside. (It was pretty common to have luthiers build guitars for other labels). I found this guitar in France few years back. 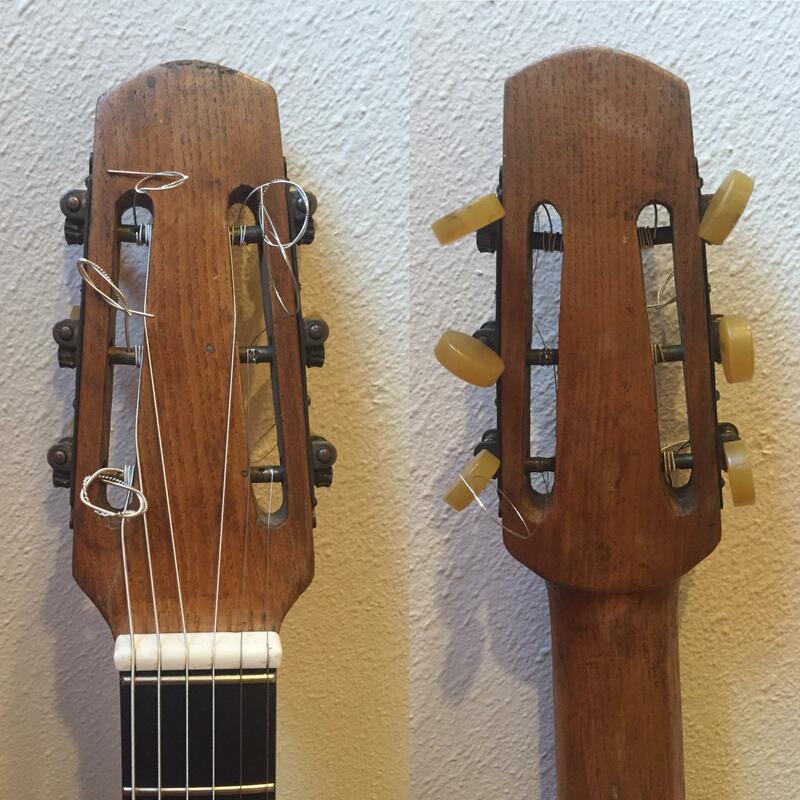 Guitar was repaired, a new ebony fingerboard, frets and nut was recreated. Top is spruce, Back and Sides are ply. 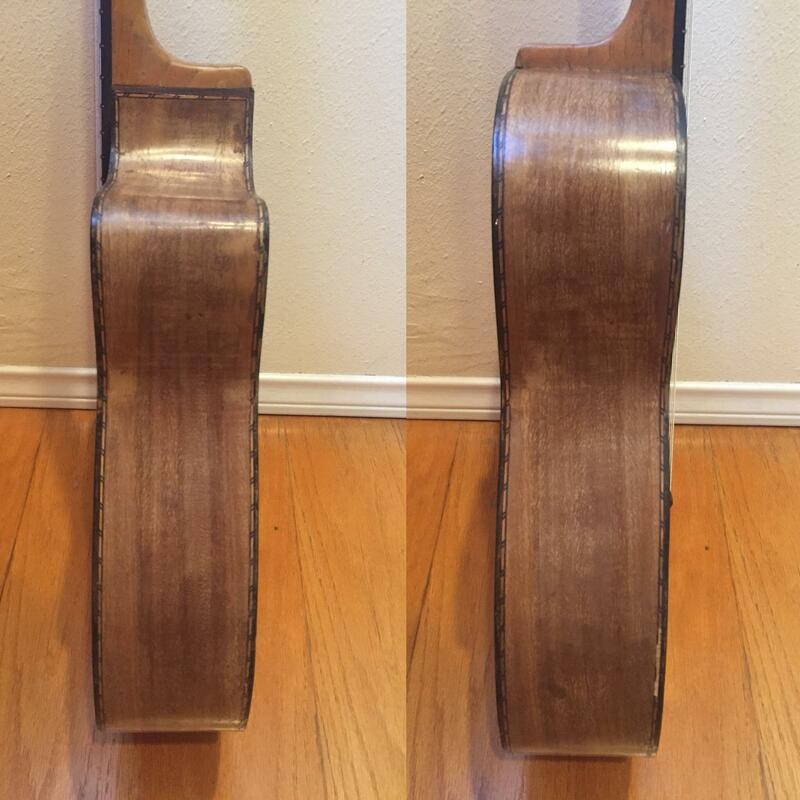 The guitar has a soft Bombé on the back. 14 cases out the body. This is a perfect collector guitar or the perfect instrument for a django aficionado. Some of the veneer bindding is missing. I would probably change the tuner for some SB tuners and I would change the bridge but it's playable right now. 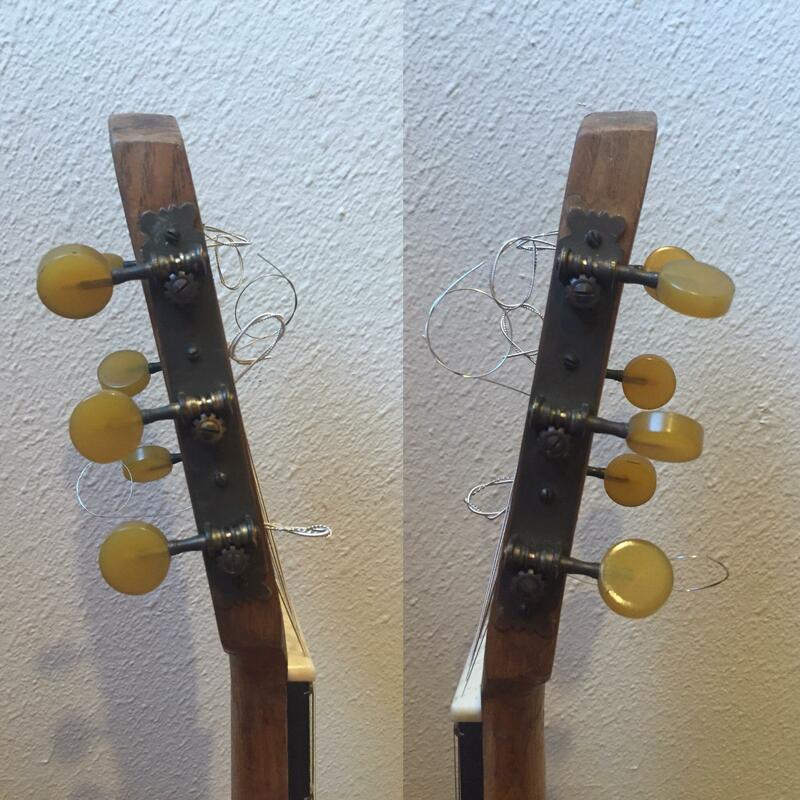 Is it my imagination, or is the neck/tailpiece axis off center? 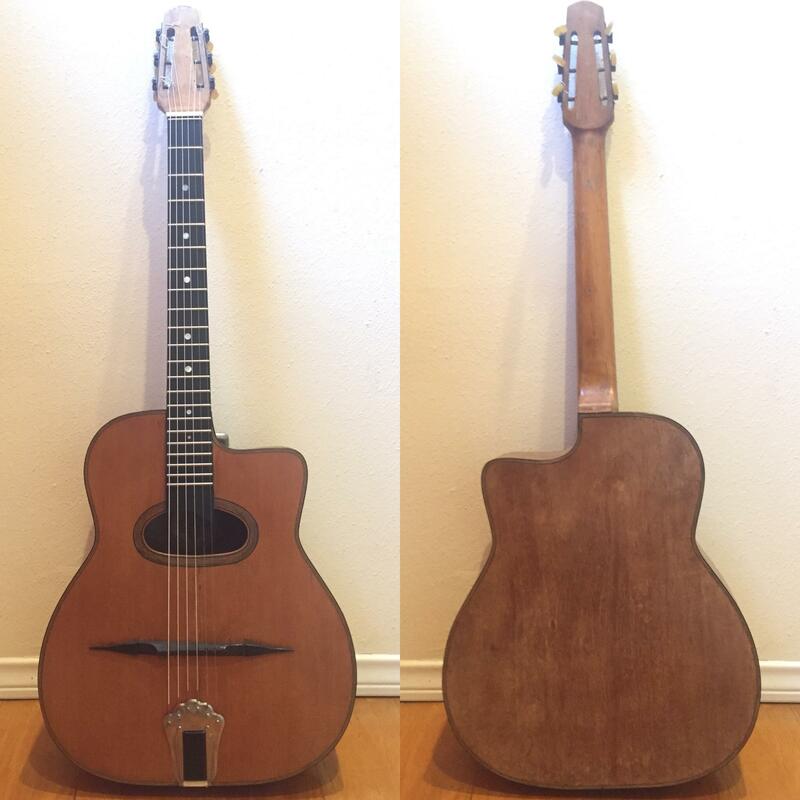 Beautiful guitar in any case.